Oakville Dodge Chrysler Jeep for the Charity Test Drive! Help us win $1000 for our charity ArtHouse. All you have to do is VOTE! We have joined forces with Oakville Dodge Chrysler Jeep for the Charity Test Drive! They have organized a contest which allows 4 competitors to duke it out to win $1000 for their charity of choice. Voting takes place from Friday August 12th, 2011 until Wednesday August 31st, 2011 and we are asking you, your family, friends and clients to vote for our local charity of choice ArtHouse. Click here to vote for us! Founded in 2009 ArtHouse’s mandate is to help enrich the lives of under privileged children through creative and artistic expression with cost free programs serving children regardless of socio economic status. The programs help the children develop their hidden talents and experience the thrill of creative expression whether that be in dance, music, visual arts or even cooking. It has been proven that children who have the opportunity to become engaged in the arts, just as in sport, earn greater self respect and confidence in themselves, learn important life skills and help them become the best that they can be. This charitable event is sponsored by Oakville Dodge Chrysler Jeep RAM. By voting online, you can be eligible to win $1,000 for yourself! Scheduling a test drive on any of Chrysler ‘s sixteen new or redesigned vehicles is required to be eligible for the exclusive Oakville Dodge Chrysler Jeep RAM $1,000 giveaway. Once you have completed your test drive at Oakville Dodge, you will be given your entry ballot to fill out for your chance to win the $1,000 in person. https://www.thewineladies.com/wp-content/uploads/2011/10/s7.addthis.com_static_btn_v2_lg-share-en.gif 16 125 Susanne Seelig-Mense https://www.thewineladies.com/wp-content/uploads/2017/08/WineLadiesLogoTransparent.png Susanne Seelig-Mense2011-08-16 18:29:002011-08-16 18:29:00Oakville Dodge Chrysler Jeep for the Charity Test Drive! Help us win $1000 for our charity ArtHouse. All you have to do is VOTE! https://www.thewineladies.com/wp-content/uploads/2011/10/s7.addthis.com_static_btn_v2_lg-share-en.gif 16 125 Susanne Seelig-Mense https://www.thewineladies.com/wp-content/uploads/2017/08/WineLadiesLogoTransparent.png Susanne Seelig-Mense2011-08-16 12:00:012011-08-16 12:00:01Oakville Dodge Chrysler Jeep for the Charity Test Drive! Burning Kiln winery, in a word, spells adventure! A unique and delectable adventure for the palate, adopting and adapting slightly, the ancient “appassimento” method in winemaking. The technique of drying the grapes on mats or slated crates is utilized at Burning Kiln, however, modified slightly with a twist. The land on which the vineyards are planted was formerly used to farm tobacco, and the tobacco drying kilns of the past are now being used to dry the grapes. Award winning winemaker Andrzej Lipinski formerly of several high profile, winning wineries including Legends, Megalomaniac, Foreign Affair and Organized Crime has this to say“This method helps to accentuate the sugars, boost the acids and balance the tannins allowing for a deeper coloured and fuller flavoured wine to be produced”. Indeed, when you sample the wines of Burning Kiln your palate will concur! A range of wonderful wines include their Cureman’s Chardonnay, an intense Pinot Noir dominated by pure black cherry with hints of spice, a blended wine of Merlot and Cabernet Franc called Strip Room as well as a dessert wine, Chenin Blanc just to name a few. We are thrilled that Burning Kiln is our feature winery for Ontario and look forward to experiencing the above four wines, paired with the dishes masterfully created by Chef Lan Hoang of 3 S’s Restaurant. Congratulations to the partners of Burning Kiln, with its first release in 2010, there’s already a buzz about the wines and its promising future. The team of owners represents a collection of individuals, each with their own strengths and passion, the combined skills, talents and ambitions required to make Burning Kiln Winery a success are there in abundance! Assistant Winemaker Patricia Fixter We mentioned “adventure” for the palate but there is more. Within walking distance from the winery is a completely unique ultra-luxurious eco-resort experience. Another kind of adventure, not for the faint of heart, a true thrill, loads of fun and a must for the active soul! New this summer zip lining, imagine gliding through the forest on a world class zip line canopy tour that includes 8 zip lines, 2 suspension bridges and a 40 foot rappel! Return to the tasting room, enjoy a glass of first class wine, I’ll take a Pinot Noir, light lunch of local delectables and relish your sense of adventure! We’re booking our Burning Kiln visit soon, wine tasting and zip lining…anyone want to join us? Burning Kiln winery, in a word, spells adventure! A unique and delectable adventure for the palate, adopting and adapting slightly, the ancient “appassimento” method in winemaking. The technique of drying the grapes on mats or slated crates is utilized at Burning Kiln, however, modified slightly with a twist. The land on which the vineyards are planted was formerly used to farm tobacco, and the tobacco drying kilns of the past are now being used to dry the grapes. Award winning winemaker Andrzej Lipinski formerly of several high profile, winning wineries including Legends, Megalomaniac, Foreign Affair and Organized Crime has this to say”This method helps to accentuate the sugars, boost the acids and balance the tannins allowing for a deeper coloured and fuller flavoured wine to be produced”. Indeed, when you sample the wines of Burning Kiln your palate will concur! A range of wonderful wines include their Cureman’s Chardonnay, an intense Pinot Noir dominated by pure black cherry with hints of spice, a blended wine of Merlot and Cabernet Franc called Strip Room as well as a dessert wine, Chenin Blanc just to name a few. We are thrilled that Burning Kiln is our feature winery for Ontario and look forward to experiencing the above four wines, paired with the dishes masterfully created by Chef Lan Hoang of 3 S’s Restaurant. Congratulations to the partners of Burning Kiln, with its first release in 2010, there’s already a buzz about the wines and its promising future. The team of owners represents a collection of individuals, each with their own strengths and passion, the combined skills, talents and ambitions required to make Burning Kiln Winery a success are there in abundance! We mentioned “adventure” for the palate but there is more. Within walking distance from the winery is a completely unique ultra-luxurious eco-resort experience. Another kind of adventure, not for the faint of heart, a true thrill, loads of fun and a must for the active soul! New this summer zip lining, imagine gliding through the forest on a world class zip line canopy tour that includes 8 zip lines, 2 suspension bridges and a 40 foot rappel! Join us September 22nd 2nd, 2011 for a spectacular evening of sensory sensations, set in the “singingly stylish” 3 S’s Restaurant located in beautiful downtown Oakville, Ontario. “East meets West” as celebrity winemaker Jak Meyer from Meyer Family Vineyards of the spectacular Okanagan Valley, wine region showcase their wines in a friendly battle with the winemakers of the newest winery from the South Coast, Burning Kiln Winery. Get to know the face behind award winning wine labels from both wine regions, the crown jewels of the Canadian wine industry as celebrity winemakers guide you through the individual wine and food pairings. Truly an evening to savour for all of the senses! Enjoy exquisite wines and scintillating food to mesmerize your palate and magnificent music for your ears and art for your eyes too. Be entertained with the sensationally talented “3 S’s singing servers”, a one and only restaurant experience as they showcase songs from smooth n’ silky jazz, snazzy show tunes to classic ballads against the backdrop of an array of special art. The Wine Ladies TV cameras will be there welcoming you and capturing the magic and special moments of this sparkling night. Walk away with your loot bag as a sweet memory of the evening. Our silent auction table will be abundant with an assortment of incredible prizes, featuring something for everyone. To purchase tickets: Call The Wine Ladies at 905-338-6797 or online Click Here. 7:45 pm-10:00pm: 4 course dinner matched with wine 2 wines from each region, your hosts The Wine Ladies and guest winemakers from will lead you through a wine tasting. 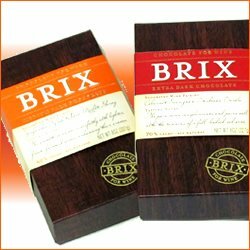 Fabulous Finds for Foodies, wine and more! The Wine Ladies faves. https://www.thewineladies.com/wp-content/uploads/2017/08/WineLadiesLogoTransparent.png 0 0 Susanne Seelig-Mense https://www.thewineladies.com/wp-content/uploads/2017/08/WineLadiesLogoTransparent.png Susanne Seelig-Mense2011-08-12 12:00:012011-08-12 12:00:01Fabulous Finds for Foodies, wine and more! The Wine Ladies faves. 3 S’s Restaurant, stylish, sublime and “singingly” spectacular! The Wine Ladies, “Fabulous Finds for Foodies”, Wine and more! Our latest discovery, 3S’s Restaurant of Oakville, Ontario. The evening began early, not yet 5:00pm on the already bustling streets of downtown Oakville with storekeepers, vendors, and musicians feverishly preparing for the 19th Annual Jazz Festival. Oakville is a small, stylish town with a blend of unique shops including art galleries, boutiques, fabulous restaurants, cafes, decadent pastry shops and chocolatiers… We are here this evening with our camera crew to capture the magic of our latest “Fabulous Finds for Foodies” the 3 S’s Restaurant, Seafood, Steak and Song. Here to share with everyone why 3 S’s is our top pick for not only incredible cuisine and fine wines, with a passion for supporting “local” in both, but also extreme talent in the way of song, from opera, to jazz and musical comedy. The restaurant crew is working at a frenetic pace to prepare for what will be an incredible evening. Inside the tables are set to perfection, upon crisp white linen tablecloths. Stunning art pieces, including works from the private collection of the proprietor hailing from Fredericton, NB, grace the walls as well as beautiful, engaging and thoughtful pieces courtesy of local artists. 3 S’s passion is to pleasure all the senses, from the food, to the wine, the art on the walls and the incredible voices of the servers. Yes, the servers, many Broadway bound, others having performed in operas in multiple major cities throughout Europe, still others with CD’s from jazz to pop and rock. Throughout the evening an incredible cast of servers serenade the guests with a variety of song allowing one to enjoy a new and distinctive dining experience, the only one of its kind in Canada. Laura Macdonald-Rumi, one of the General Managers, with a Fine Arts Degree is in her element here, living her passion for all that is fine; at the helm Laura seamlessly orchestrates 3 S’s into providing a symphony of the perfect evening for the patrons. We, along with our entourage this evening, family members from Montreal enjoy a multitude of dishes paired exquisitely with a range of wines. https://www.thewineladies.com/wp-content/uploads/2017/08/WineLadiesLogoTransparent.png 0 0 Susanne Seelig-Mense https://www.thewineladies.com/wp-content/uploads/2017/08/WineLadiesLogoTransparent.png Susanne Seelig-Mense2011-08-11 18:54:002011-08-11 18:54:003 S’s Restaurant, stylish, sublime and “singingly” spectacular! 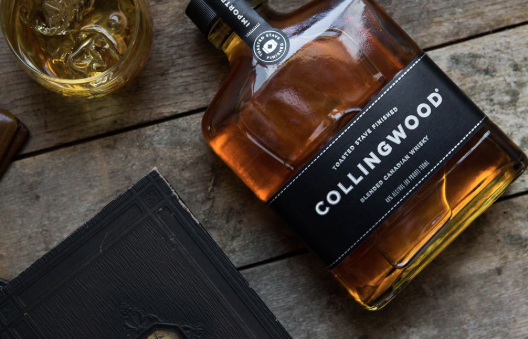 Collingwood Canadian Whisky, first new major Canadian whisky in 10 years. 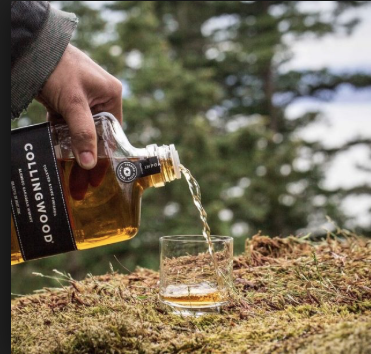 Collingwood Canadian Whisky, a new Canadian spirit hit the store shelves this month. Thos whisky will be the only maple wood mellowed Canadian whisky available on the market. The whisky is triple distilled and then matured in white oak barrels. It’s finished by mellowing the blended whisky with toasted Maplewood, which adds sweetness to the spirit while reducing natural astringency. Collingwood, which sports an interesting men’s cologne shaped bottle is now available at the LCBO (#244186). Each bottle clocks in at 80 proof, and a 750ml bottle will retail for around $29.95. 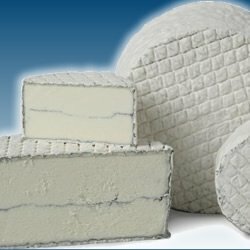 Collingwood delivers a refined flavour profile that can be enjoyed on the rocks or mixed in a cocktail. Check out 3 awesome cocktail ideas here. https://www.thewineladies.com/wp-content/uploads/2015/06/Screen-Shot-2018-05-21-at-7.46.08-AM.png 354 371 Susanne Seelig-Mense https://www.thewineladies.com/wp-content/uploads/2017/08/WineLadiesLogoTransparent.png Susanne Seelig-Mense2011-08-08 16:47:002018-05-21 08:08:12Collingwood Canadian Whisky, first new major Canadian whisky in 10 years.